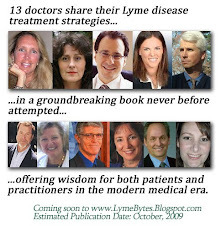 As this blog nears its five-year anniversary, I reflect upon all that I have learned about Lyme disease since I first began writing about it in early 2007. While I yet believe that most of what I have written about in this blog is relevant for today, many new diagnostic and treatment advances have been made in recent years, which are not thoroughly explained here. 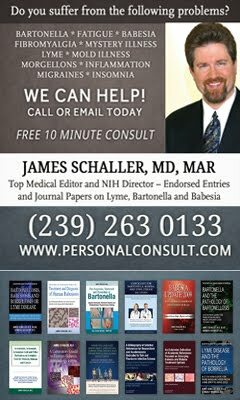 For this reason, I recommend consulting additional sources for information about Lyme, such as my book, Insights Into Lyme Disease Treatment , other books written by Lyme-literate physicians, such as Ken Singleton, MD, and informational websites such as Scott Forsgren's Better Health Guy. Perhaps the most important thing that I have learned about Lyme disease over the past decade, when I first began experiencing symptoms of illness, is that chronic Lyme disease is rarely just about a set of tick or flea-borne infections. For years, my treatment plans focused mostly upon removing infections from my body, but I experienced little improvement to my health as a result. Fourteen months of aggressive antibiotic therapy; several years of Rife machine, herbal, biophoton and other treatments, did little to ameliorate my symptoms. Antibiotic treatments, in fact, made me worse. Oddly, however, these therapies did remove the majority of Babesia, Bartonella, Borrelia, Ehrlichia, Mycoplasma and other infections in my body, according to Applied Kinesiology and energetic testing devices such as the Zyto, which, according to some Lyme-literate doctors, is over 90 percent accurate in its evaluation of infectious activity in the body. So why didn't I get better? I had also eliminated wheat, gluten, dairy, sugar and other allergens from my diet; detoxified my body, and took nutritional supplements. Yet it wasn't enough. It has taken me a long time to understand that treating chronic illness involving Lyme disease isn't just about removing infections, or taking a few nutritional supplements and detoxifying agents to aid the body in its recovery. It is about aggressively healing the inner terrain of the body, which has been destroyed by environmental toxins, emotional trauma, and other factors. Often, Lyme is simply one manifestation of many things that have gone wrong in the body. Thus, healing it requires a comprehensive, detailed plan involving high doses of multiple nutrients; an impeccable diet, and a multifaceted detoxification protocol that goes beyond just taking some chlorella or doing a coffee enema. I used to think I could do my healing journey alone, especially since, over the years, multiple physicians have failed to properly treat me, and I thought I understood all that I needed to know about healing from Lyme. But I have come to believe that healing from the complexities of chronic illness is too difficult for most people to do on their own--and that working with a holistic doctor who thoroughly understands not only Lyme disease, but also how to heal the inner terrain of the body, is essential for recovery. In recent years, I have learned that other factors besides Lyme, such as mold toxins and electromagnetic pollution, have caused me to become ill. Emotional trauma was the initial trigger for the immune dysfunction in my body, which then caused me to become susceptible to sickness from these, and other factors. Often, a healthy immune system can stave off much of the garbage that is found in the environment, including Lyme disease infections. But when the immune system is compromised by trauma, as was the case with me, infections and toxins can more easily gain a foothold in the body. Once this happens, it's important to not only remove the toxins and infections, but also treat the initial causes of immune dysfunction, and restore the body's inner terrain. This knowledge provided the impetus for my most recent book, Beyond Lyme Disease: Healing the Underlying Causes of Chronic Illness in People with Borreliosis and Co-Infections. I wanted people with Lyme disease to understand that their symptoms probably weren't just caused by tick-borne infections, and that focusing more upon healing the inner terrain of their bodies, and the immune system, was just as, if not more important, than treating the infections. While it is true that Lyme disease infections are, for some people, the most important cause of symptoms, my research and experience have taught me that for most, they are just one factor in the overall disease picture. I am still walking the path towards wellness, but I have made greater strides in my healing since I have shifted my focus to removing the other causative factors of disease in my body besides Lyme. 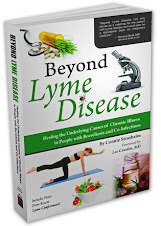 If you have spent months or years doing antimicrobial treatments, and not been made well, I highly recommend checking out my newest book, Beyond Lyme Disease. Like me, you may discover vital new solutions for healing your body from chronic illness.